LOOKING FOR AN AFFORDABLE HOME OR INVESTMENT PROPERTY IN SYDNEY, LOOK NO FURTHER. THEN THIS RESIDENCE TICKS ✔️ ALL THE BOXES. 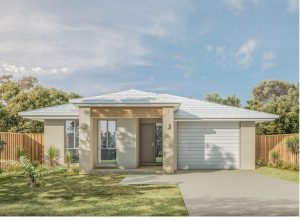 HOUSE and LAND package nestled within the booming suburb of Gregory Hills, just 50km south of the Sydney CBD. Perfectly positioned with shopping, schools, parks and everything you need at your door, balancing quiet village life with easy access to the city. When it comes to growth in NSW, nothing compares to the dynamic expansion of the greater Southwest Sydney area. ✔️Architecturally Designed HOUSE & LAND package. ✔️4 bedrooms, 2 bathrooms, Lock-up garage. We make it simple and easy for you. ✔️Anticipated Rental Return: $540 per week.